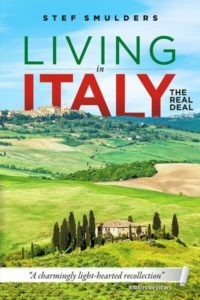 Though frequently called the Tuscany of the North of Italy, the Oltrepò Pavese in Lombardy, only 40 miles south of Milan, is fairly unknown abroad. 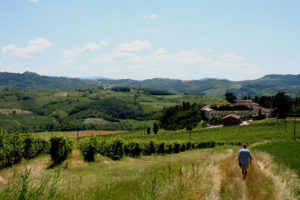 Tourists pass the area closely when travelling to the real Tuscany, to Umbria or further south. This is a pity as the Oltrepò really offers something worthwhile for almost every tourist, especially food and wine lovers. The area offers smooth hills, medieval villages and castles, panoramic views, authentic Italian food and local wines. The Oltrepò happens to be the largest wine producing area of Lombardy and one of the largest in Italy. 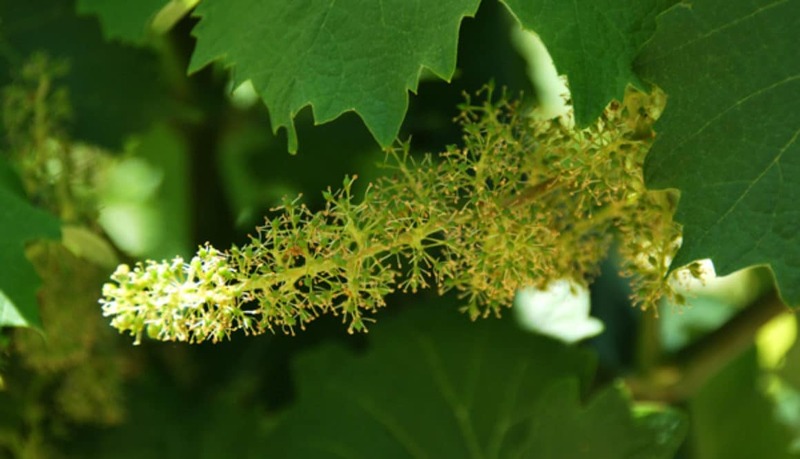 It specialises in the pinot nero grape (pinot noir) that is very suited for the spumante: bubbling champagne-like wines. The landscape is scattered with vineyards that are freely accessible for hikers or even mountain biking. The Oltrepò Pavese is part of the province of Pavia, in the southern part of Lombardy. 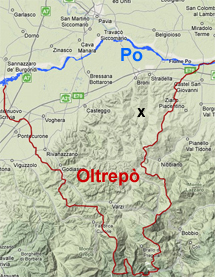 Oltrepò literally means “on the other side of the Po”. The Po river runs through the large plain in the North of Italy, the pianura padana, where the risotto rice is produced. 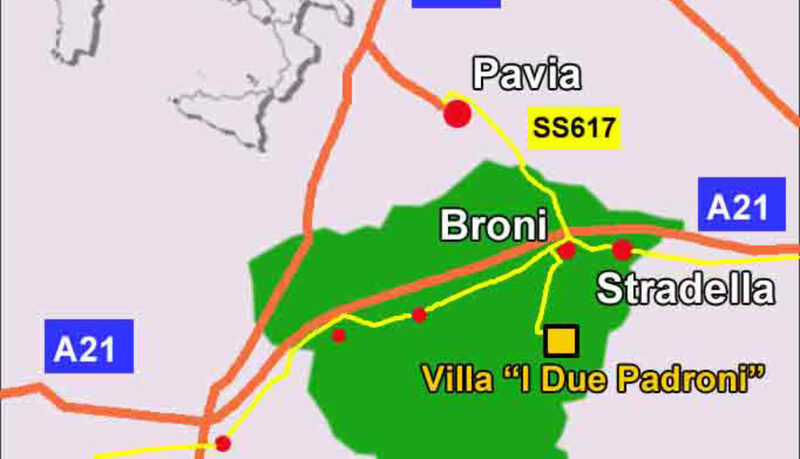 In the south of Pavia province the terrain quickly gains height. The Oltrepò Pavese, not to be confused with the Oltrepò Mantovano, is situated at the foothills of the Ligurian Alps and Apennines. As an inhabitant of the region I can offer you a list of 7 of the most important reasons to come and visit! The Oltrepò Pavese offers peace and quiet, tranquillity, and the silence (while strolling in the vineyards for example) is often overwhelming. Life still has a slow pace here, as the locals are living the life in more or less the same way their ancestors did. 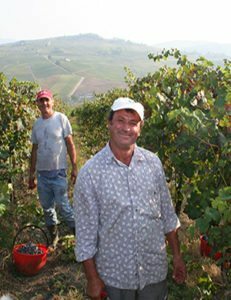 They grow wine as a labour that follows the seasons, year after year, generation after generation. Most of the wine farmer families have been living here since the Middle Ages. Hardly any tourist business has developed here. This means that as the one of the few visitors from abroad you are still encountered with hospitality everywhere. Guests that arrive at our B&B Villa I Due Padroni often are stressed out from the highly competitive modern working environment. It is a joy to see them more relaxed each day during their stay. The Oltrepò Pavese still is a truly unspoiled region and you will hardly run across any foreign licence plates here! This is Italy as it is meant to be. This is Italy unplugged! Whether touring with your car, cycling with your bike or just walking/hiking through the vineyards: you will enjoy fantastic views from almost every point. Smooth rolling hills, vineyards as far as the eye can see (always green as the vines lose their foliage only in winter), castles and medieval villages on hilltops. Just about everything you tend to expect when thinking of the Italian landscape is within your view. Small hamlets are almost everywhere so you do not feel lost in a desolate world. On a clear day you’ll have a spectacular view of the Alps – 100 miles further north. People are enthusiastic to serve you their local traditional food and wine at all of the little family restaurants that populate the area. The food that is served is the food that Italians want to eat, it has to have “mamma” quality! And prices are ridiculously low. Regional dishes are simple but very effective. Using seasonal ingredients like mushrooms and tartufi and the local meats of rabbit, wild boar and the likes, delicious dishes are prepared. One thing not to be missed is the typical Sunday pranzo or lunch. There all of the servings of the Italian menu (antipasti, primi, secondi, contorni, dolci) pass by, sometimes even twice. The Varzi salame is a protected product, like the Parmesan cheese. 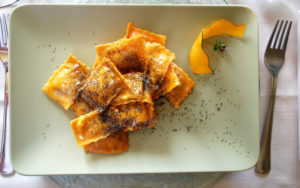 If you decide to visit and stay, you may even participate in a cooking class with our own favourite mamma, Leda. Putting your hands in the dough, as the Italians say: mettere le mani in pasta. 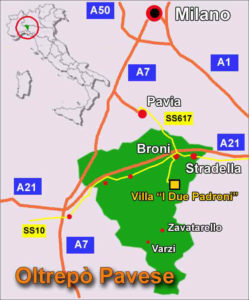 As mentioned above, the Oltrepò Pavese is one of the largest wine regions of Italy, much larger than the far better known Franciacorta region. It is in fact the wine producing area of Milan. Unfortunately (or not?) the wine farmers here have never been good at marketing their product outside the Milan area, let alone internationally. 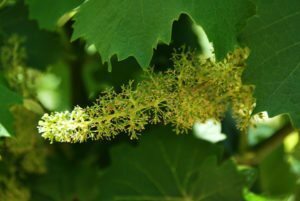 This may gradually change though, as the last decade a lot of young, new wine farmers have decided to concentrate on higher quality instead of quantity. In 2015 the spumante bubbling wine of the Tenuta Mazzolino wine house was chosen to be the best of the whole of Italy. 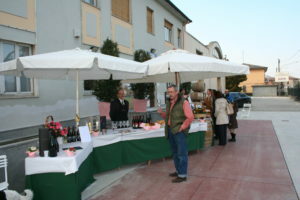 Also particular of the area are the normal sparkling wines, the vivace, frizzante wines. Reds and whites sparkle without being just sweet. The most famous local wine, the Bonarda is fruity but not sweet, in contrast to the Lambrusco, for example. Only last year the first bonarda wine ever has received the maximum award of three bicchieri of the Gambero Rosso gastronomy organisation (the Italian Michelin). 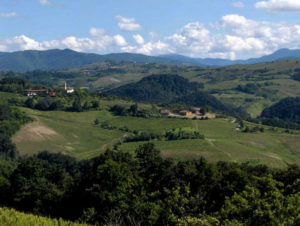 A local, more classical wine is the Buttafuoco, the production of which is restricted to a small area in the North of the Oltrepò. A typical sweet red wine of the area is the Sangue di Giuda. The regional champagne-like spumante has made it to the Italian DOCG category. Wine tasting is possible at almost every one of the hundreds of cantina’s and is always informal and … free! No fussing around here: just tasting and enjoying. 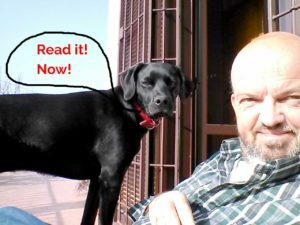 See my special post about wine as well. The small but charming abbey of Sant’Alberto di Butrio in Val di Nizza is one of the must-sees of the region. The 11th century hermitage is situated on a hill amidst the woods of the western border of the Oltrepò but can be easily reached. Once you get out of your car you will be overwhelmed by silence, again. 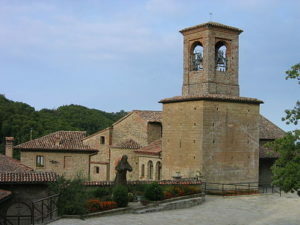 The isolated position of the monastery, that consists of three interconnected churches, makes it ideal for getting into a meditative mood. Inside you will see a number of beautiful medieval (15th century) fresco’s and the moving simple room of the blind brother Frate Ave Maria (yes that was really his name). On his bed you’ll see small pieces of paper with requests of visitors of the abbey to the brother to pray for the health of loved ones. One of the most enjoyable and relaxing activities during a visit to the Oltrepò is without a doubt making a hike. Because there are no fences you can freely walk through the vineyards. No traffic, only magnificent views: a pure pleasure! Sign-posted hikes are fairly unknown here, but it is quite easy to find your way and you can cross the vineyards anyway you want. If you meet the owner or one of the workers on your way, no problem. They are always friendly and curious to know why you are walking there as Italians are no real hikers. If you plan ahead you may arrange for a lunch stop at one of the small hamlets that are scattered on the hills or in one of the larger villages like Santa Maria della Versa. For a day out in the city, Pavia is the first choice, as it is the capital of the province. Once, in early medieval times, Pavia was even the capital of Italy, under the Lombard rule. Pavia is a charming, and historic city with a good mixture of sights (don’t miss the old university buildings!) and shops. Of course there are plenty of restaurants and bars, for instance in its central square, Piazza Vittoria with its many terraces. At aperitivo time this becomes the hot spot for viewing Italians in their natural habitat! All of Pavia can be visited on foot and along the way there are lots of little quiet squares with benches in the shadows of trees to rest. We have been living in Pavia for half a year and sort of fell in love with this little gem. Major sights include the covered bridge, the Visconteo castle, the churches of San Pietro (with the remains of St Augustine and Boethius) and San Michele. See my separate post about Pavia for more info.